Scientific studies show that getting unplugging from the electronic world and getting back to nature lowers stress hormone production. When it comes time to get away, an escape to the great outdoors alone or with a single companion is often the best option. A great way to make a quicker, lighter getaway is with a 2 person tent; so, we’ve put together a list of the best 2 person tents for a quick a quick comparison of the various features and options to consider. This is truly a tent for a mountaineer. Its durable design has solid frame with plenty of supports and tie outs to reinforce stress points. The structure bears up very well under strong wind conditions and even sheds the accumulation of the occasional snow storm you might encounter in 3 season camping. The fabric is durable, but not too bulky and the tent base is certainly waterproof with a 6 inch base tub. The straps and cord at the tent base help to prevent overstressing the fabric during set up as well. It takes a little practice to set up and take down the first couple of times, but once you’ve become accustomed to it, it’s really not that difficult. 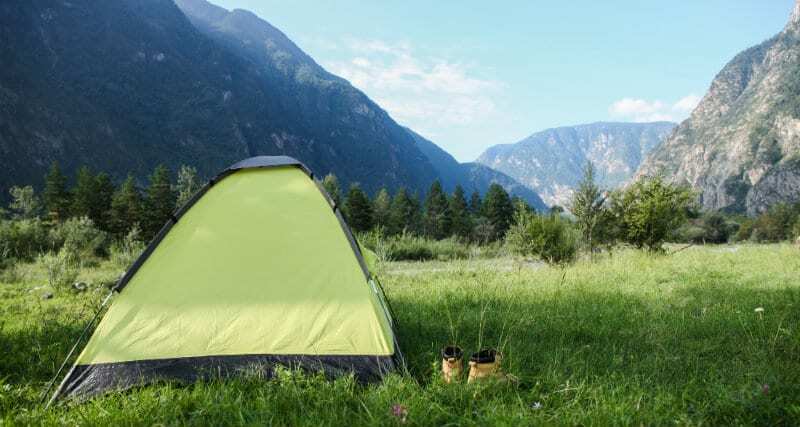 Unless you are frequently outdoors and tend to camp in seasons with unpredictable weather patterns, you will probably have some difficulty justifying the price. You are a frequent 3 season mountaineer who is often well away from the beaten path, then this is probably the tent for you. You will be disappointed if you try to push using this tent into that 4th season. The set up and frame durability of this tent boasts of quality beyond its price. Making use of aluminum poles instead of fiberglass in its construction helps to improve the strength of the structure as well as its longevity. Set up takes as little as five minutes for one person, which is certainly a plus, if you are camping alone. This tent is spacious for a 2 person tent and is well suited for the comfort of larger framed campers too. Those who desire to be sealed off from the entrance of any outside air do not appreciate the ventilation near the bottom of the tent. Additionally, some questions are raised concerning the durability of the fabric, zippers and straps. You are someone who only camps a couple of times per year. It has some features which increase its value over its price, but you still need to keep in mind that this is a budget priced tent and you are going to get what you pay for. The roominess of this tent is impressive, coming in at over 37 square feet, which is a lot for a two person tent. The set up is quick and simple, even for newbies and the materials will hold up to the limited usage of occasional campers. This is a warm weather tent with good ventilation, but don’t expect it to keep you warm. For car, kayak and motorcycle camping, this tent is okay, but it is pretty heavy for those who go out into the woods with their tent in a backpack. There seems to be some issues with leaks around the seams and zippers of some models, which can quickly sour one’s perspective of a camping tent. Longevity of the frame is also something of a concern. You are looking for a budget priced tent for warm weather camping. If you are using it in the spring or fall, when weather conditions are often less than ideal, then you are probably not going to be happy with it. The durability for 3 season backpacking is the main plus of this tent. Its design stands up to high wind speeds and gusts and it sheds water well. The color coding guides for set up make it a snap to set up, even if you’re new at camping. The screen top option is something that those who would like to fall asleep while gazing at the stars might enjoy. Where the overall durability of construction of this tent is a plus, the longevity of some of its parts can be called into question. The plastic tips on the ends of the poles are bound to wear quickly with frequent camping. If you stake down the rain fly too tightly, like you do with higher end tents, you are apt to rip out the stake points on this tent. You are an occasional backpacker who prefers a tent with a little bit more durability, but maintains the lighter weight of a backpacking tent. However, it probably isn’t going to live up to the expectations of a true mountaineer. Durability and longevity are going to be the major pluses of this tent. The frame structure is built of sturdy aluminum, which adds some to the weight, but makes up for it by providing a great deal more stability for standing up well under the heavy wind and rain conditions often associated with 3 season camping. Besides keeping the interior of the tent dry, the vestibule space of this tent also remains dry. Though this tent is pretty roomy for a backpacking tent, measuring in at over 33 square feet, most of its area is taken up in length while not providing a great deal of width for two people. This is a heavier tent than many backpacking tents, which is something of a drawback to some backpackers. You hike and camp frequently throughout the 3 seasons as you are going to find that the durability and longevity of this tent are going to trump that little bit of extra weight. On the other hand, those who backpack infrequently will find it difficult to justify the higher price. Weight: 6 lbs 5 oz. Open air camping and ventilation are major pluses of this tent. With the screened, open fly option, campers can lie back and gaze at the stars before falling asleep or cover up to keep the rain out. Its ventilation keeps out the mugginess that often accompanies camping in warm weather. Quick and easy set up and the dual vestibule space are pluses for this tent given the dimensions of the interior space. This is a much heavier tent than most people like for backpacking. There seem to be some design flaws along the seams and zippers when it comes to shedding water, which is a definite drawback. In addition, though the area of the tent is 36 square feet, it is very narrow for sleeping two people comfortably. Your priority is being able to camp out under the stars in warm weather. You are going to be disappointed with its weight, dimensions and durability if you are a more frequent 3 season backpacker. The durability of this tent defy its price. Besides having a rigid structural design to withstand the weather, it is a quick set up with plenty of ventilation to prevent condensation and mugginess during warmer camping conditions. The fabric quality is equal to heavier tent designs in spite of being ultralight. A major drawback to this tent is that it comes with a video rather than printed instructions, which require you to set it up from memory unless you make some cheat notes. The vestibule area is a bit small for larger gear, which might be less of an issue if the tent was a side entry style. Finally, the rain cover is a bit too small for the tent and the bath tub base is a little bit shallow for wet weather camping. You are an infrequent backpacker, but like to go deeper into the wilderness, you will like the lightweight and overall durability. This is really not going to fit the needs of the true mountaineer. The stability and durability of this ultralight tent are well worth the extra investment. This is a 3 season tent for backpacking which has the capability to be used in early spring or late fall when weather conditions are unpredictable. 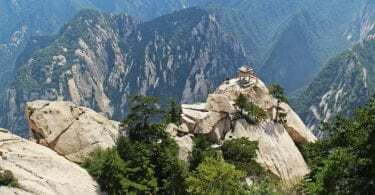 Its construction materials and design allow it to be easily packed and easily set up, but it still has the strength to stand up to heavy winds, rain and snow. The space of this tent is okay, but follows a long and narrow design which makes sleeping two people a little snug. In addition, the tent base is a little bit light and many users recommend that you add the footprint to beef that up, which adds to packing weight. You are a serious 3 season mountaineer. This model has the necessary stability and durability to withstand more demanding conditions, but is still light enough to carry deep into the wilderness. Its higher price is something of a drawback for occasional hikers. Flexibility and stability are built into the design of this ultralight. One of the great features of this tent is that you can pitch the rain fly before pitching the rest of the tent, which allows you to pitch your tent dry in wet weather. It is also stable in high wind conditions and provides ample vestibule space for keeping stowed gear out of the weather. The durability of the floor of this tent is a bit questionable without adding the footprint to the package, which adds weight and space for packing. It is a little cramped for larger campers sleeping side by side and the longevity of construction materials is questionable. You are a somewhat frequent backpacker and can’t quite justify a higher end model. You are going to do fine with 3 season camping conditions, but it is likely that you will have to replace this tent a lot sooner than you would like. Stability, easy set up and warmth are all characteristics of this lighter weight 4 season tent. Utilizing silicone poles in place of aluminum or fiber glass allows for the necessary stability against high winds and snow loading, but reduces the overall packing weight. Its unified frame design makes for easy set up for cold fingers in extreme weather conditions. It spite of its light weight, this tent’s fabric is still excellent at keeping out the cold. The footprint for this tent does not fit snugly with the tent base. The seams at the tent base are suspect for leakage in extreme wet weather where flooding is a possibility. Ventilation for warm weather camping is a bit inadequate and it can be a little muggy for warm weather use. You are camping in winter, early spring, late fall or at very high elevations in the summer time. This tent is built for colder weather and you will probably find that it is too hot for warm weather camping. Why buy a 2 person tent? Those who purchase a 2 person tent tend to do so because they tend to go out into the wilderness alone or with only one other person and don’t require a great deal of community space for family camping. Thru-hikers, backpackers, kayakers, and motorcycle or car campers tend to purchase these tents because of the ease and convenience of their set up along with their lighter weight and dimensions for packing. Some campers, who typically camp alone, or at least prefer to sleep alone, purchase a 2 person tent because they don’t want to feel so cramped, or because they tend to bring their dogs along with them and need the additional space for them. What to consider when buying a 2 person tent? There are several different factors involved in purchasing a 2 person tent. 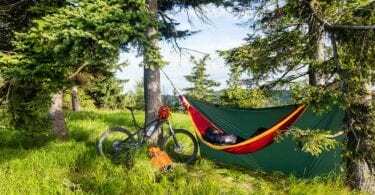 Because they are often used in connection with backpacking or quick getaway camping, weight and packing dimensions are important considerations. Rugged terrain and unpredictable weather often require durability to be considered. Interior space is an additional factor to keep in mind when comparing 2 person tents, especially if you are a bit larger than average. Let’s take a closer look at these considerations so that you will be better informed before making your purchasing decision. With backpacking, kayaking, and perhaps motorcycle camping, keeping the weight of your gear to the bare minimum is an important objective. Ultralight designs tend to help keep the weight down, but can be somewhat limited in their durability. On the opposite hand, more stable tents with greater ability to protect you against a wider range of unpredictable conditions are apt to be a bit heavier. Their packing dimensions also come into play when considering the amount of room you have in your backpack, kayak or motorcycle. Those who are more apt to prefer car camping really don’t need to be concerned as much with the weight and space considerations. With backpacking and through camping, camping on the move, which means setting up and taking down several times during the trip, requires the equipment to have greater durability. Those who camp infrequently or do not venture far from the beaten path might not notice some of the more trivial durability issues that mountaineers or frequent campers notice right away because getting a replacement or carrying extras of certain gear just isn’t an option for them. Durability, in fair weather camping conditions, can be compromised in favor of other considerations, but those who face extreme weather conditions or unpredictable conditions far away from civilization should never compromise durability. The consideration of interior space is a major reason behind purchasing a 2 person tent. Those who are car camping or campground camping with family will probably not be happy with the interior space of a two person tent if they try to add more people or with the inconvenience of setting up multiple 2 person tents. Square footage of a 2 person tent is not nearly as important as actual length and width dimensions. For example, the interior space for 2 persons, in which one or both persons are larger in stature, can be uncomfortable with a tent that has greater length, but lacks width; consequently, both width and length become important factors. In addition, many campers who use inflatable mattresses might need to check interior space dimensions closely to determine the right fit.